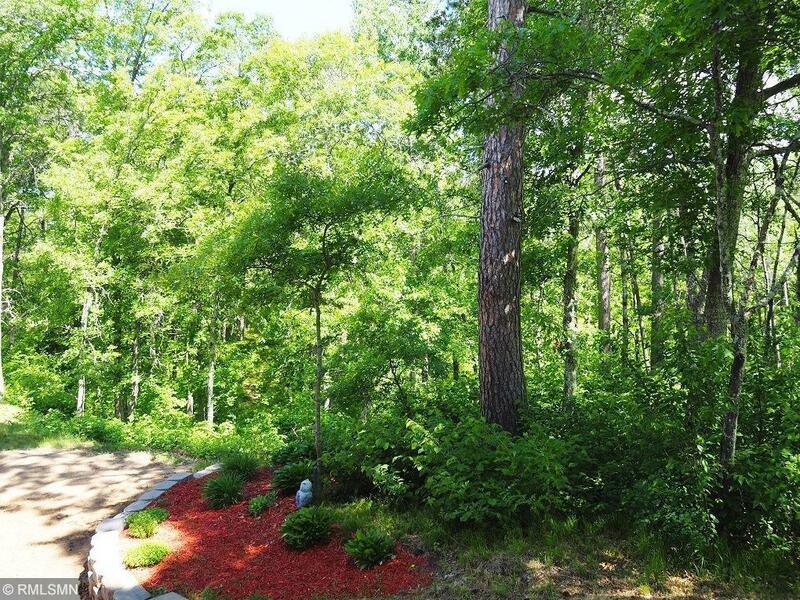 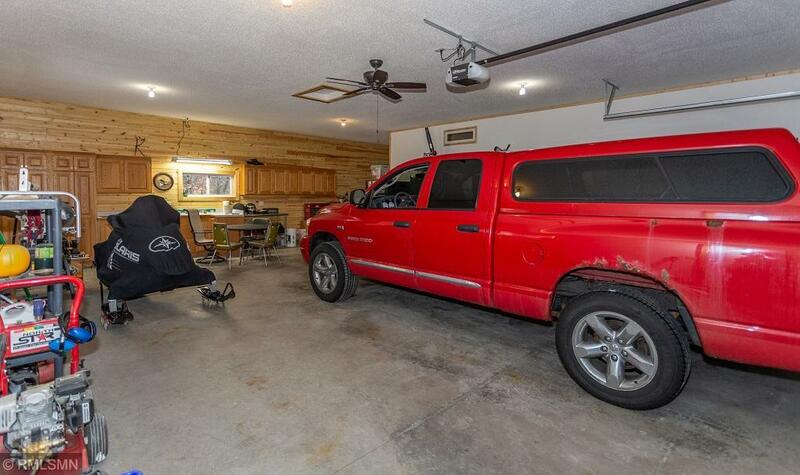 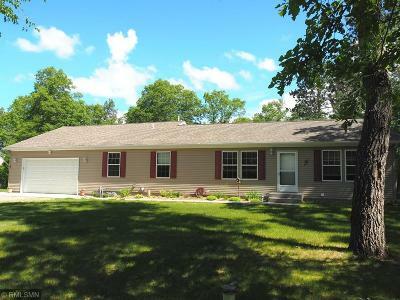 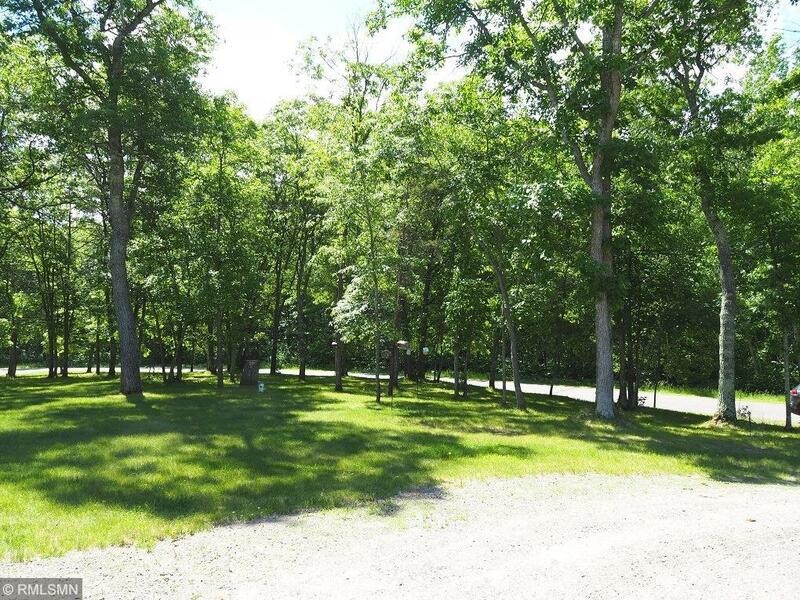 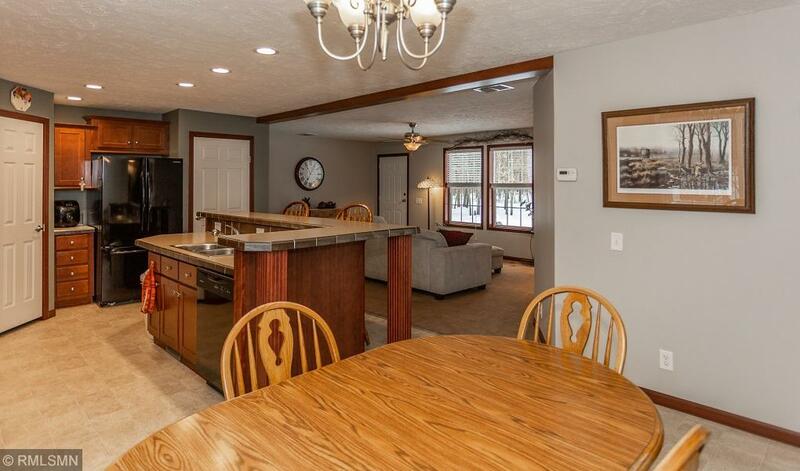 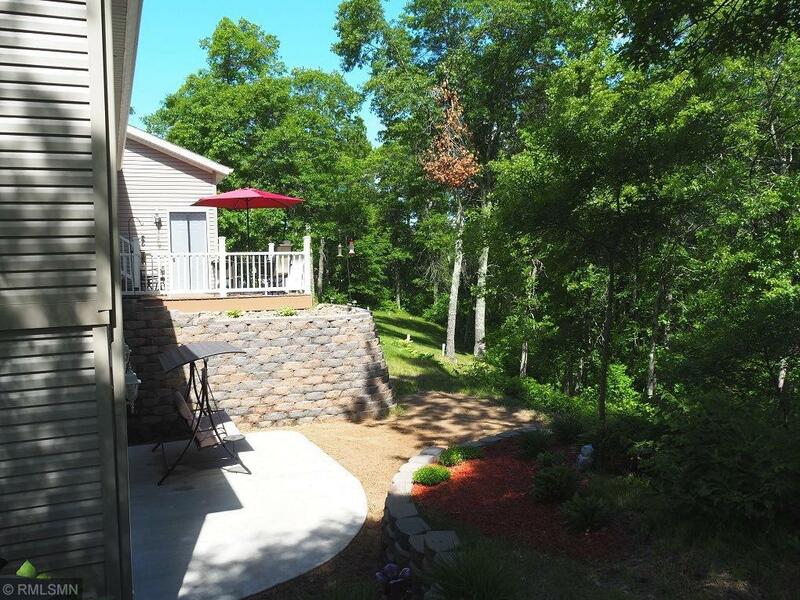 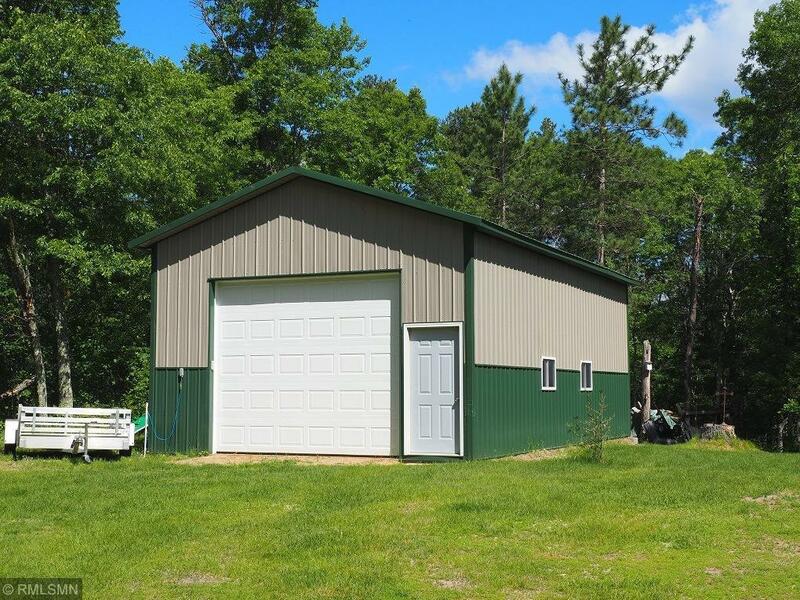 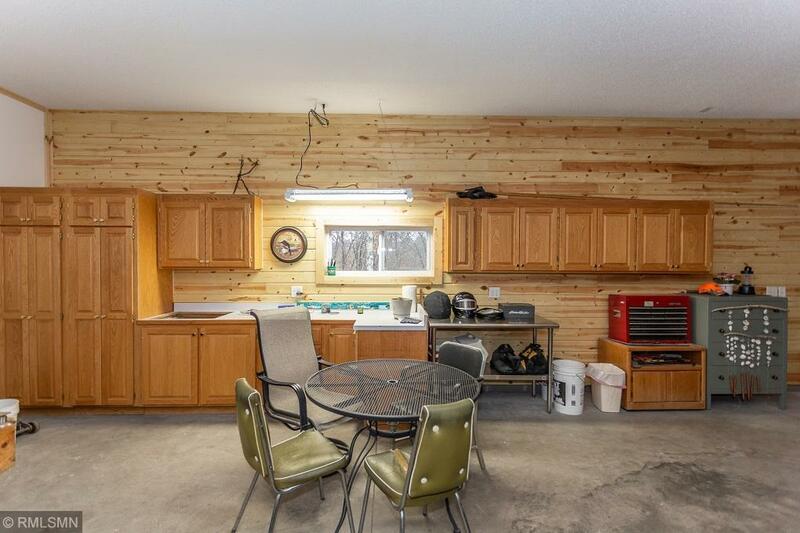 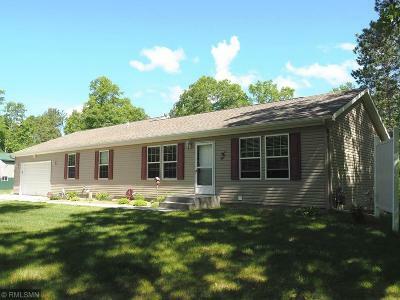 Move-in ready 4 BR home on almost 3 acres in Crosslake. 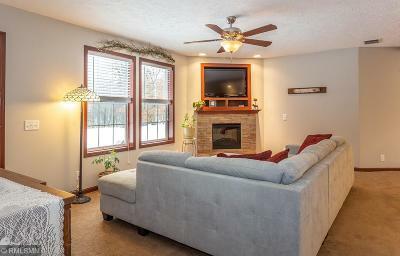 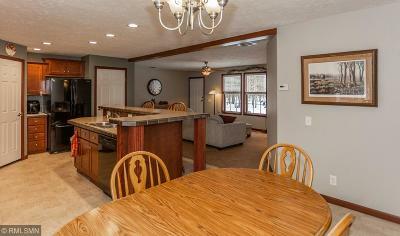 Excellent open floor plan providing main level living with a fully finished lower walkout for additional living spaces. 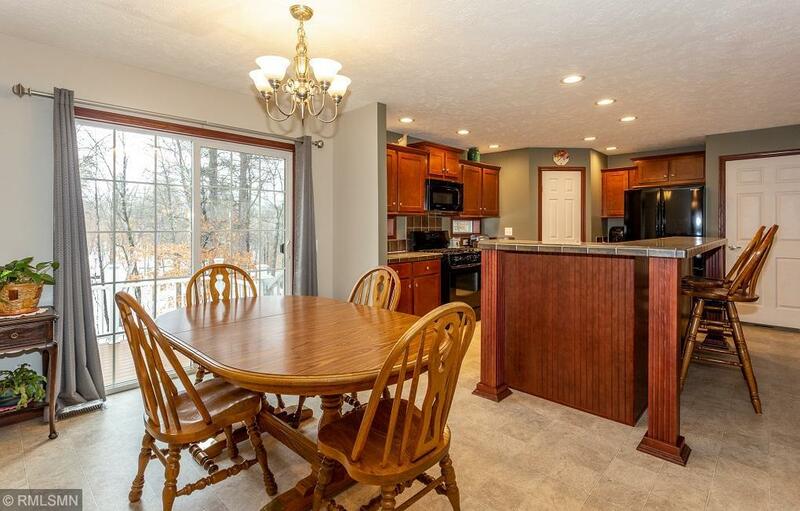 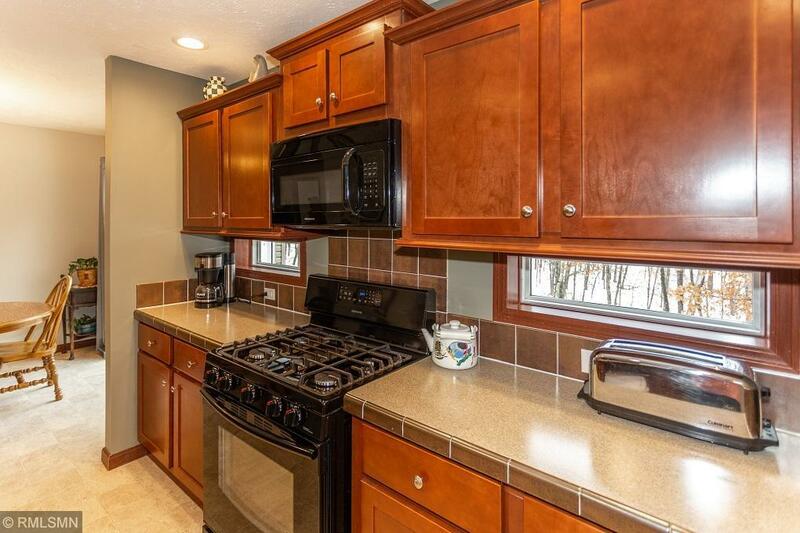 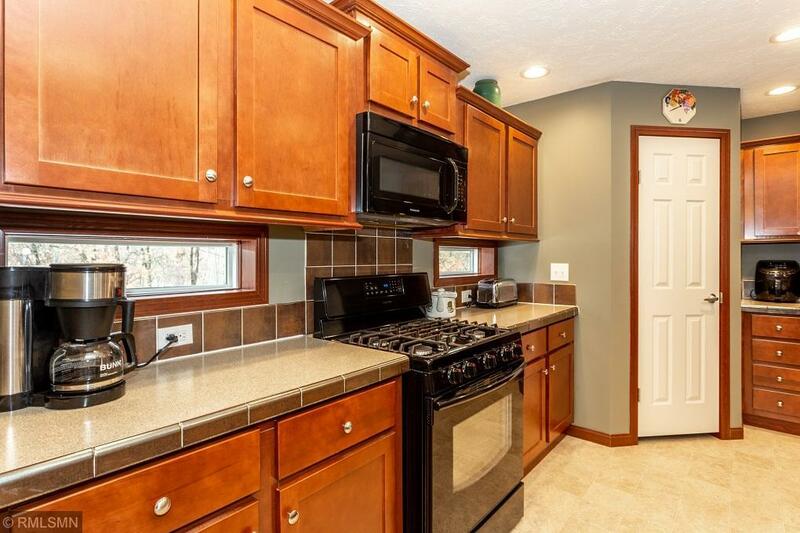 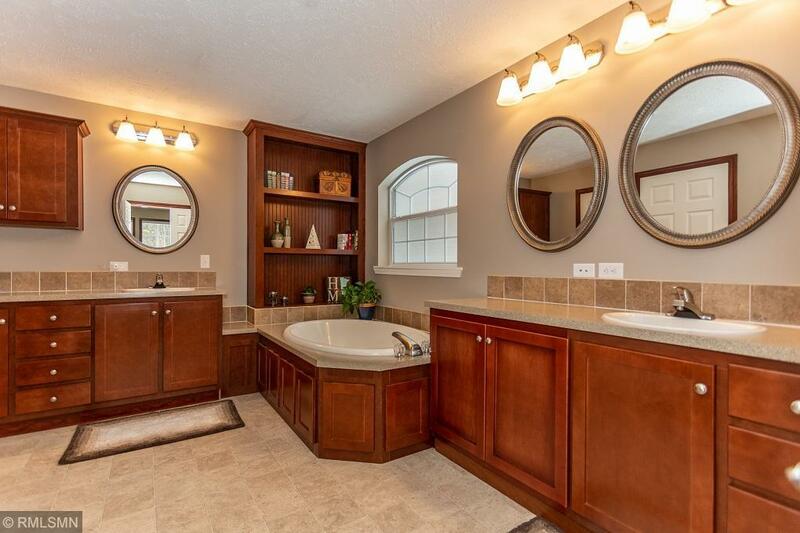 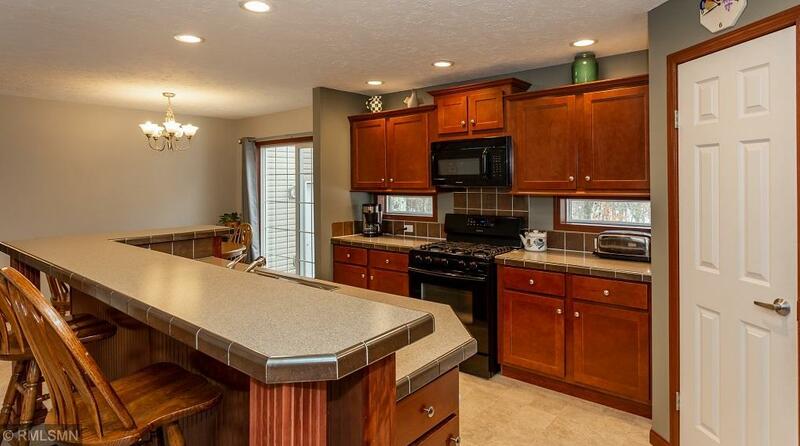 Appealing kitchen with cherry cabinetry, center island breakfast bar, newer appliances, walk-in pantry. 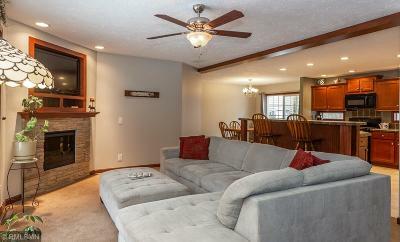 Dining area has a sliding door to the deck and living room features a corner fireplace. 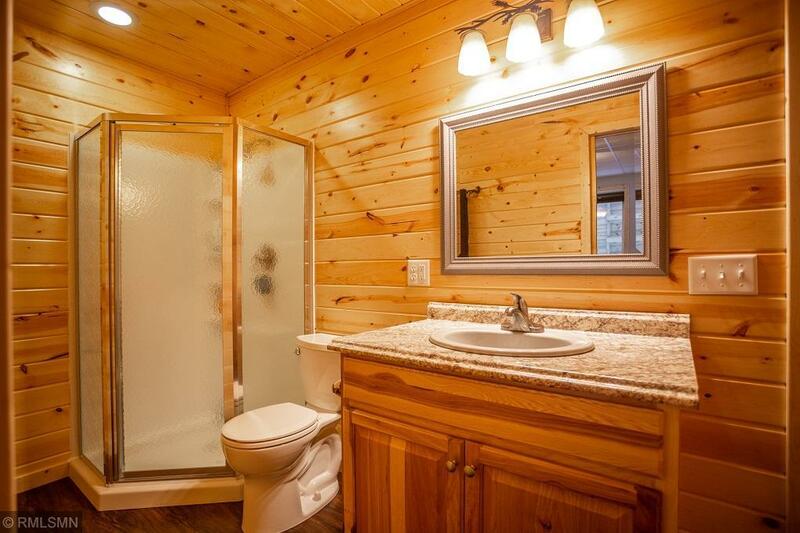 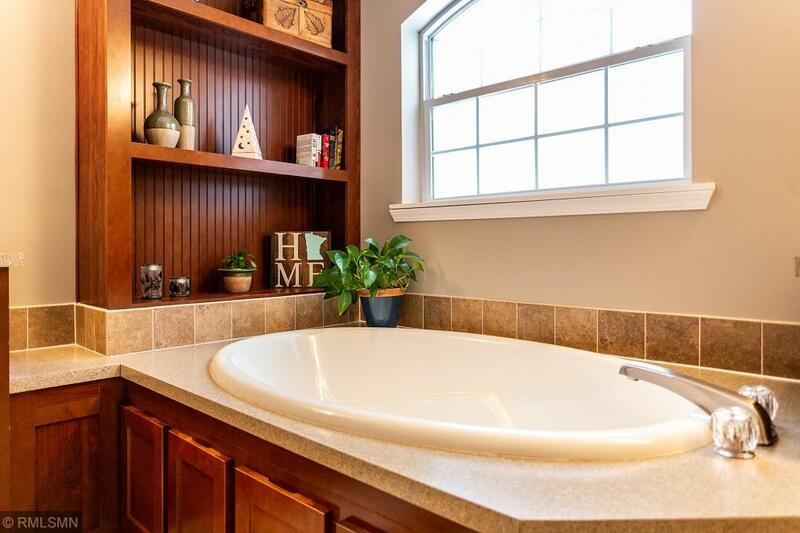 Private master suite offers double vanities, soaking tub, walk-in shower, and walk-in closet. 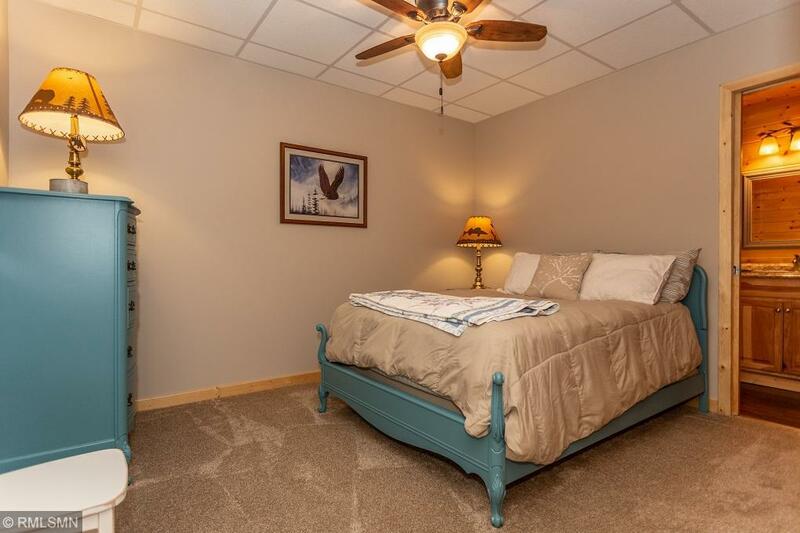 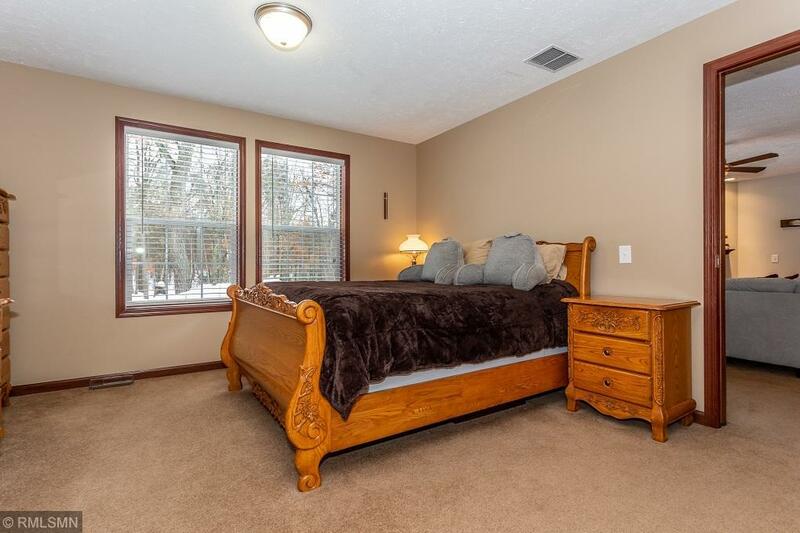 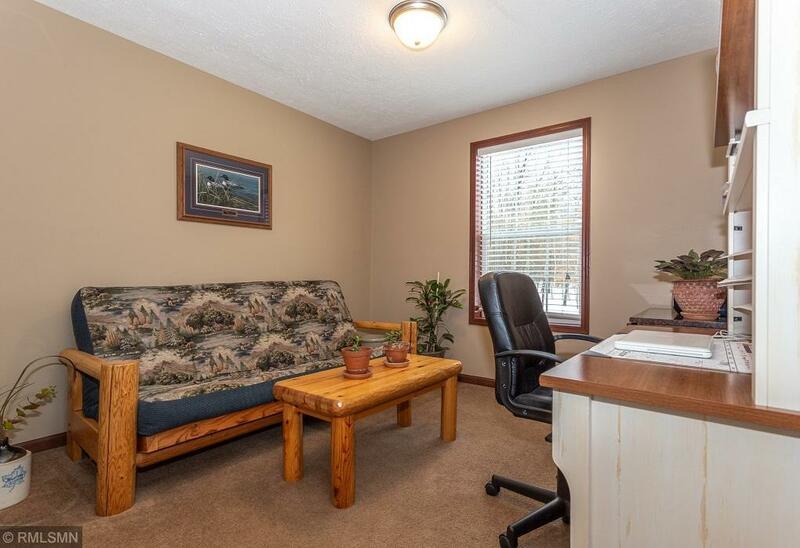 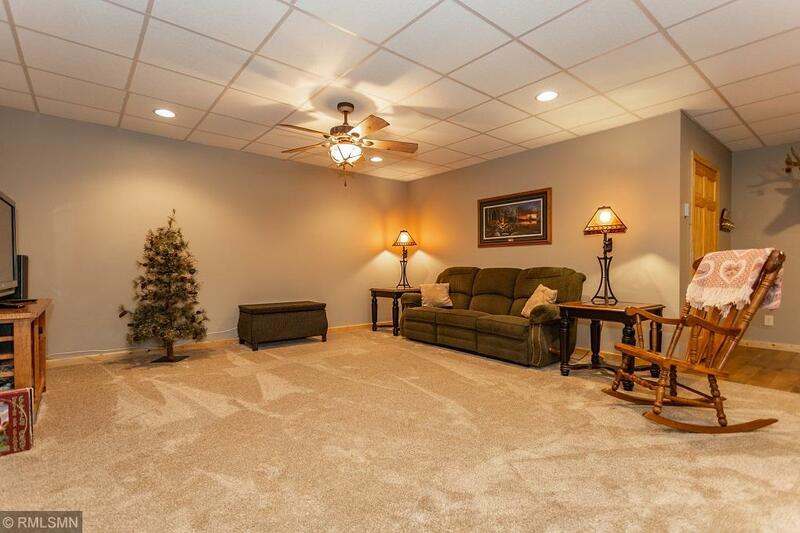 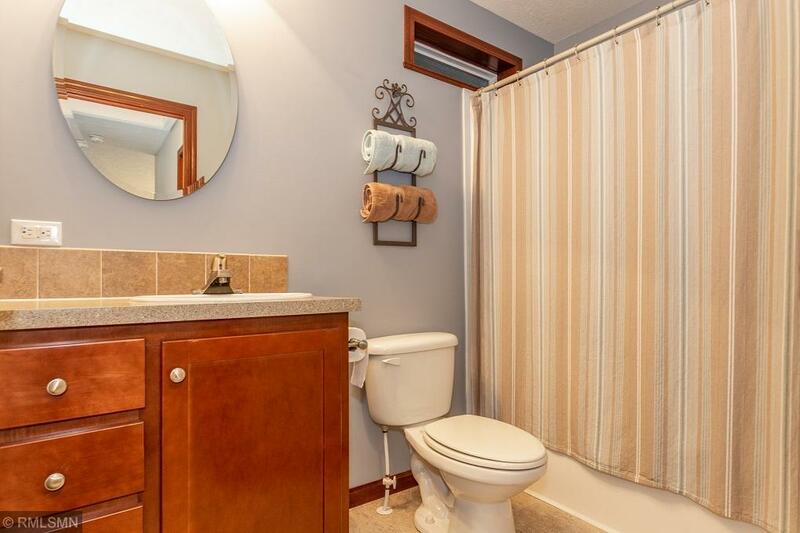 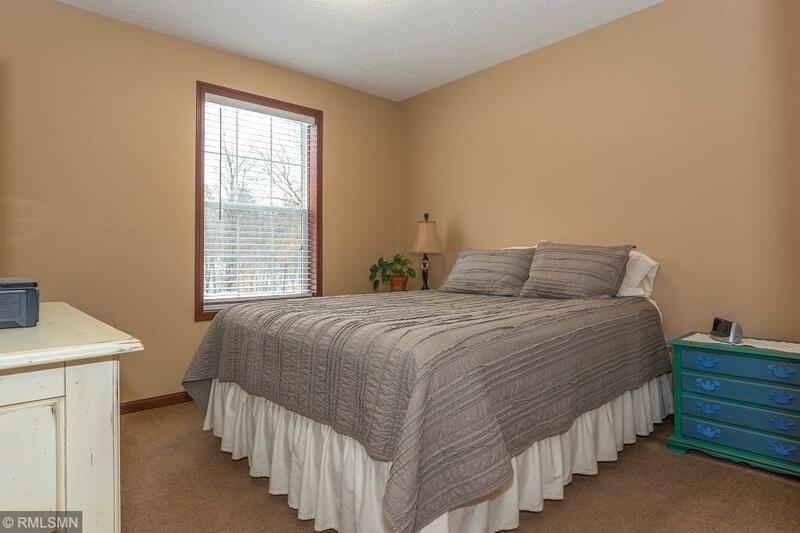 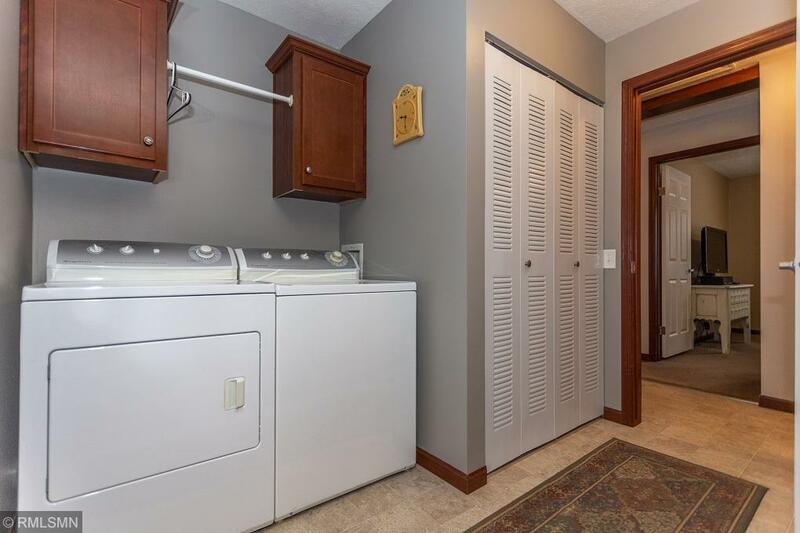 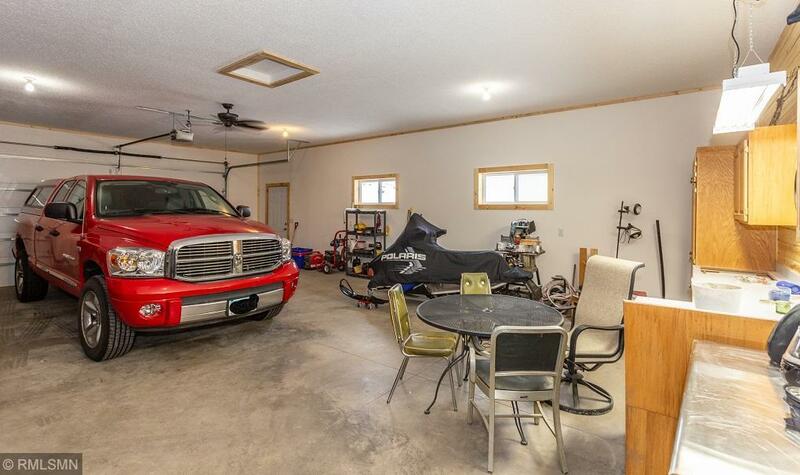 Two guest bedrooms and full guest bath, main floor laundry/mud room leads to the attached garage which is insulated, finished, in-floor heat, and has a wall of cabinets. 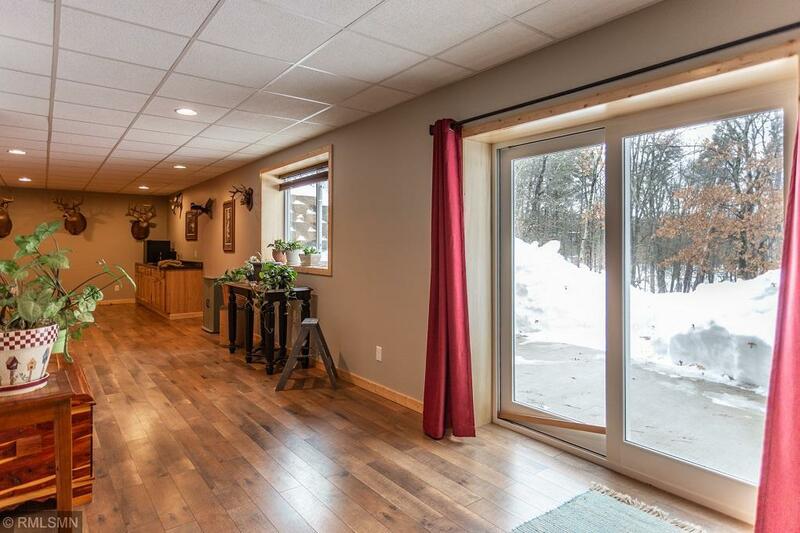 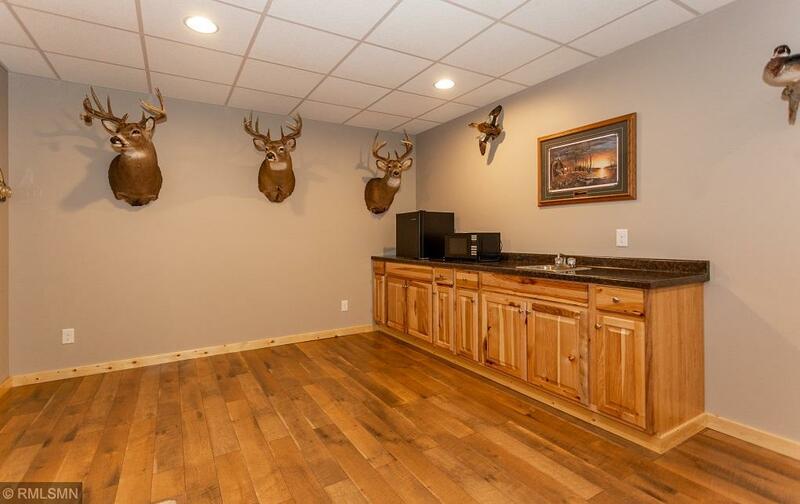 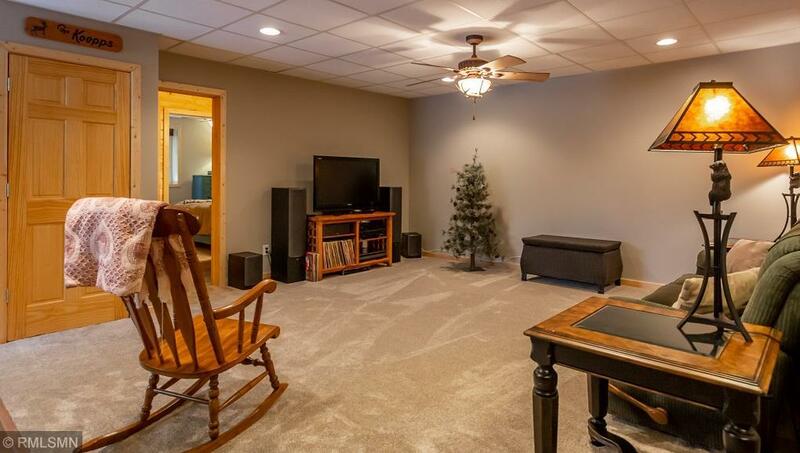 Finished lower level with family room, 9’ x 20’ wet bar area could offer dining or game room, 4th bedroom ensuite, large storage area and utility room. 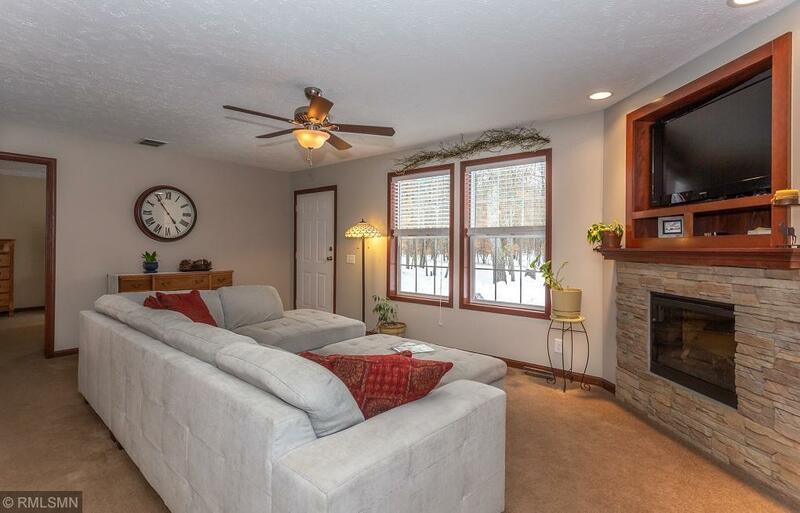 Exterior is maintenance free, heated sidewalk, garage apron, and lower level patio. 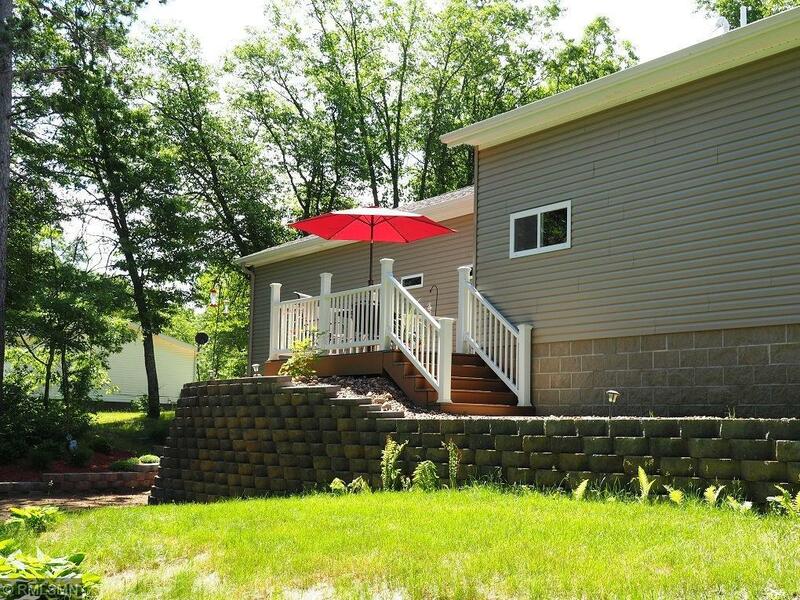 Keystone landscaping, lilac bushes, perennials, outdoor fire pit, and additional storage garage complete the package.